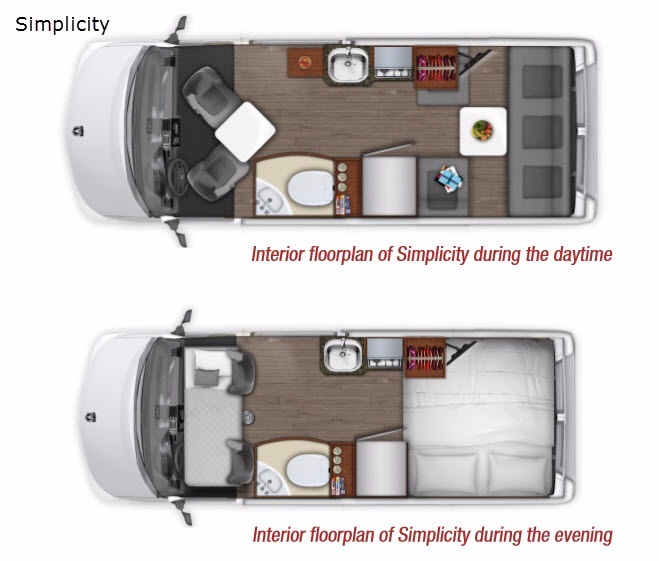 Let the all new Roadtrek Simplicity introduce you to the world of RV travel. 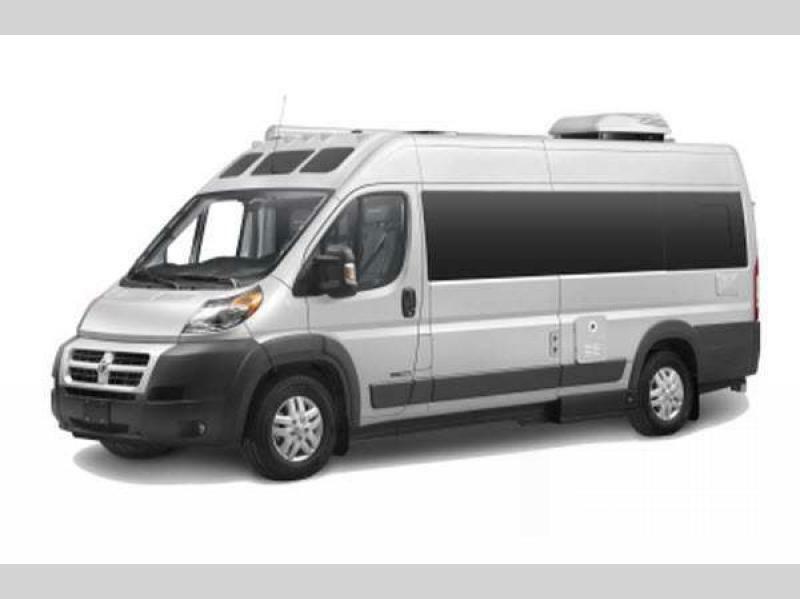 This entry level class B coach is built on the Dodge ProMaster 3500 chassis and is an ideal coach for three when it comes to overnight stays, but can easily seat five travelers comfortably for daily traveling about. 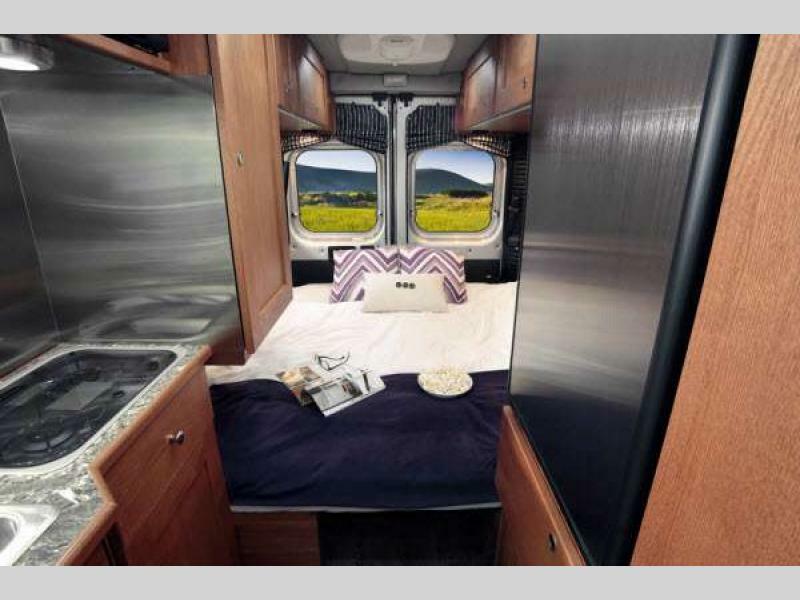 You will enjoy a complete kitchen as you travel that features a two burner cook-top, a microwave oven, and a 5 cu. ft. refrigerator. 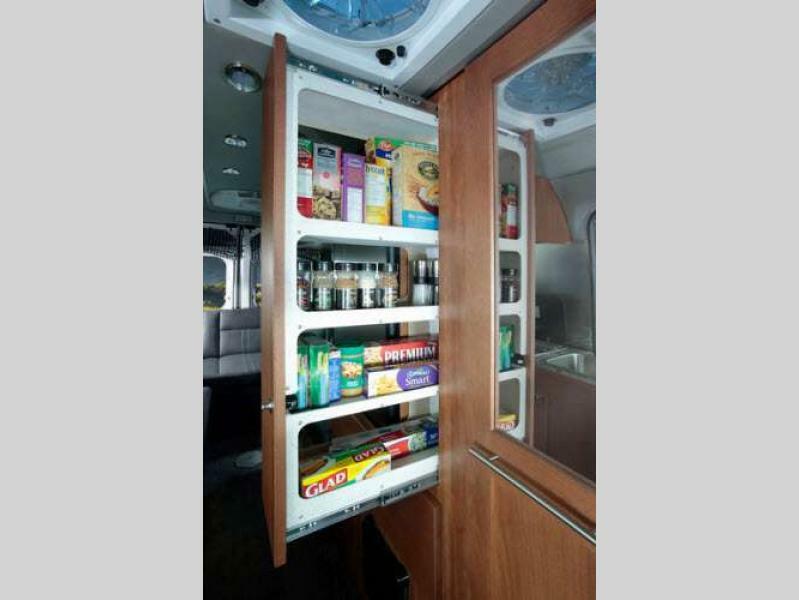 There is also plenty of storage space including a space saving slide out pantry cupboard, and large pot and pan drawer too. 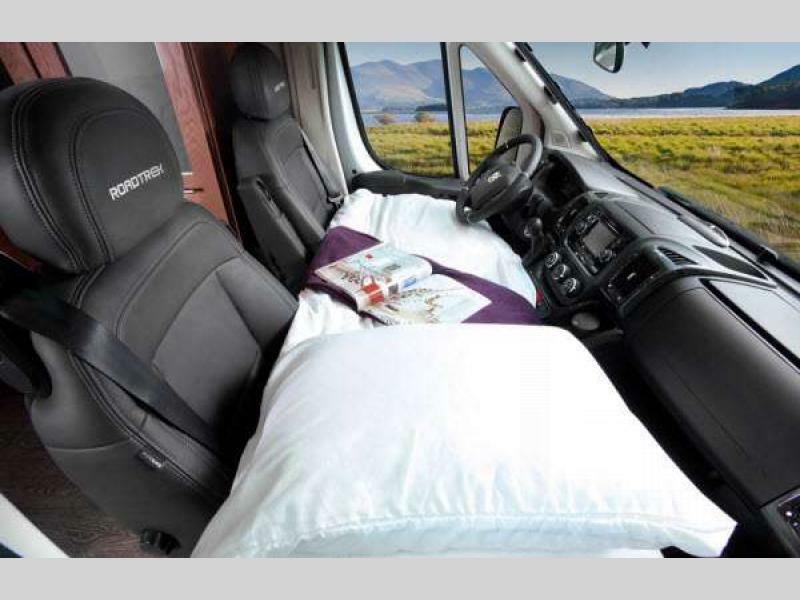 The rear forward facing power sofa easily converts to a queen size bed, and you can add an optional mattress that fits between the two front captains chairs for a third sleepy camper. 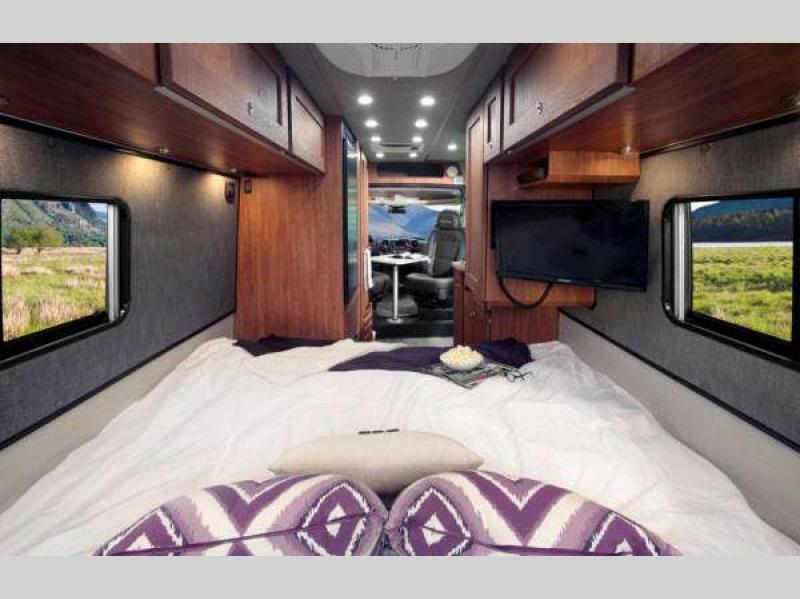 You will also enjoy the convenience of a complete bathroom on-board including a shower so you can feel refreshed each day you are away from home. 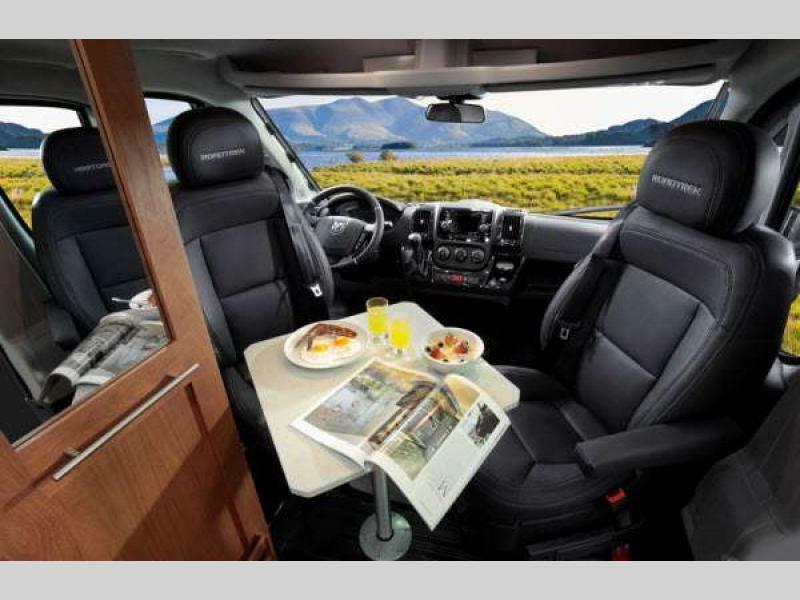 With a new Roadtrek Simplicity class B coach, you will have everything you need to create a comfortable and convenient road trip across town or across the countryside, all at a price point that you will truly love! Come get yours today! Refrigerator - 110V/12V, 2-way compressor, 5.0 cu. ft.